Brussels Scarlet Flowers Bedding Luxury Bedding  - $149.99 : Colorful Mart, All for Colorful Life! We all remember a saying: Females are like the blossoms. Every personality of females corresponds to the similar varieties of flowers. 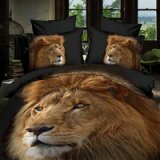 When seeing this bedding, you can relate with a mature and cute woman. Each color, each flower, we thoroughly design. Every woman could find herself within it, every single man would find his lover in it. Amazing flowers bedding, all regarding colorful life!